Recent research published by scientists at Baycrest's Rotman Research Institute (RRI) brings us a step closer to uncovering the answer, which could help with distinguishing signs of dementia earlier. "Eye movements are important for gathering information from the world and the memory centre of the brain—the hippocampus—is important for binding this data together to form a memory of what our eyes see," says Dr. Jennifer Ryan, RRI senior scientist and Reva James Leeds Chair in Neuroscience and Research Leadership. "But we found that older adults are not building up the memory in the same way as younger adults. Something is falling apart somewhere along the path of taking in visual information through the eyes and storing what is seen into a memory." Previously, Baycrest researchers had identified a connection between what we see and how we remember—when the eyes view and process more details of an object in front of them, there is more brain activity in the memory centre of the brain. When the object is seen multiple times, there is a progressive drop in hippocampus activity, indicating that what is seen is no longer new information. But this doesn't happen with older adults. In the latest study, researchers found that older adults exhibited greater eye movements, but there isn't a corresponding pattern in brain activity. "These findings demonstrate that the eyes and brain are taking in information from their surroundings, but the linkage aspect of creating a memory appears to be broken," adds Dr. Ryan, who is also a psychology professor at the University of Toronto. "When the memory isn't being created, the object continues to remain unfamiliar to a person, even when they have seen it multiple times." 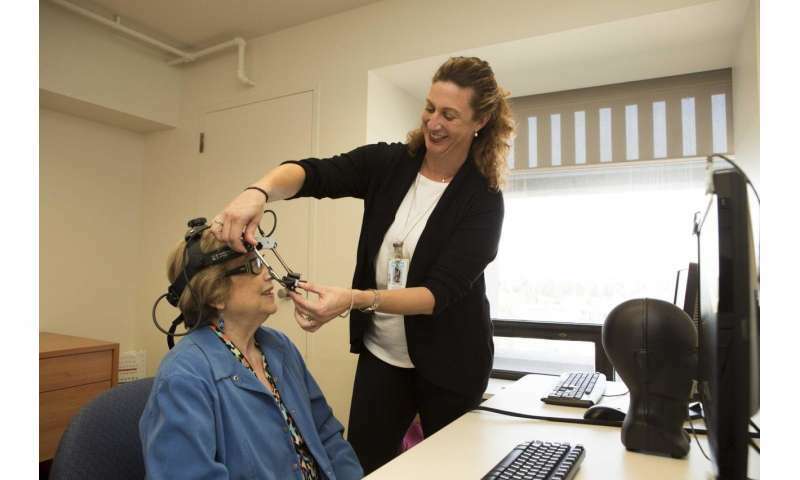 As next steps, researchers will continue exploring the triggers of eye movements and related activity in the brain, which could be used to help predict earlier cognitive decline in Alzheimer's disease or other related dementias. Reading this article made me very impressive. Good and nice article. Kindly know best infertility hospital in hyderabad; Visit Ferty9 website. We need to develop all the things we can to help people remain self supporting (mentally and physically) as long as possible. Dementia and Alzheimer's are not only scourges on their victims and families, but huge drains on society. I would urge people to take a cautious, conservative attitude towards possible cures. If we could halt the progression of any of the multiple variations of dementia? Stopping the progression of culminating damage? What is already damaged, the memories destroyed cannot be recovered. Even if damaged brain tissue is repaired or replaced? It will be a blank slate. Personality is fragile.. The person you knew will be gone and a new person will inhabit that old body. If you taught them to play the part of your mother? They would only be acting the part. This will be the terrible price families will have to learn to accept. Continuing research at caring for with the senile patient is important. But it cannot be allowed, in Popular Opinion, to interfere with research to learn how to prevent the different types of dementia. "An milligram of prevention, is worth a kilogram of cure." Especially when you realize the inherent personal tragedies lurking in a "cure". As you age, eventually everything becomes an illusion. It's the nature of consciousness to constantly mediate reality on the basis of expectations. The longer you live, the more your expectations are met, not because reality changes, but because your expectations do. What is already damaged, the memories destroyed cannot be recovered. Or the elements that were used to reconstruct (re-member) the episode. If you could erase memories, you can never be sure what foundational effect it has on downstream memories. Erasing some fundamental memory could dramatically alter any associations downstream memories had with the now erased foundational memory component(s). "Forgetfulness and age-related memory lapses are a common complaint for many older adults, but what is still not understood is what causes these changes." Not to mention - we're constantly being told it is what happens as we age. I refuse to retain too much info and refuse to accept it is part of aging.